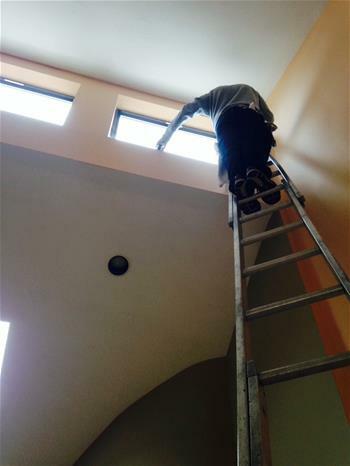 When you hire Central Window Cleaning, Ted or Brett will come to your home and help with the work. You will feel comfortable letting them and their expert crew into your home. Most of our employees have been with us for more than ten years. You will get a professional window cleaning job with professional window cleaners. You will not get a bunch of kids off for the summer with no window cleaning experience traipsing around your most prized possession- your home. We also are one of the few companies that work year round. The cold does not stop us! We have experience in cleaning the latest type of windows, and are factory trained for dealing with Anderson, Jeld-Win, Marvin, Pella, and Windsor windows (and, of course, we can clean all other brands). We are fully and highly insured with both Liability and Worker's Compensation insurance. We are ready to brighten up your view to the outside world! Suffolk: Amityville, Huntington, Melville, Northport & East Northport , Commack, and, of course, some exclusive Hampton mansions.